Bigg Boss 12 is running in it’s finale week and the show is getting interesting with each passing day. Recently, Bigg Boss announce Hotel task in which some popular TV celebrities entering the BB 12 house as special guest. 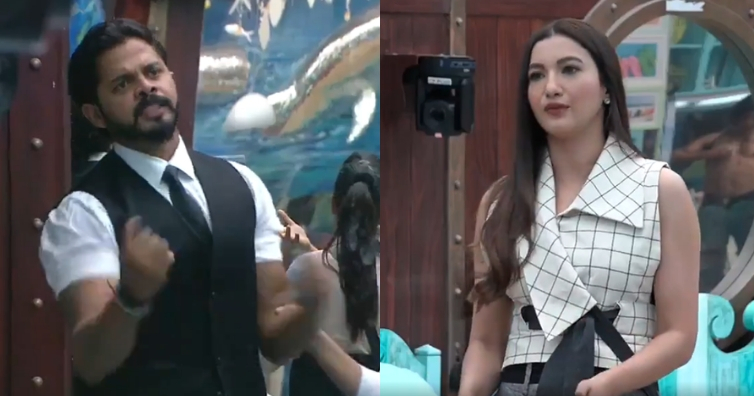 Till now, we have seen Hina Khan, Juhi Parmar and Neil Bhatt enters the show as a guest and now Bigg Boss 7 winner Gauahar Khan enters the house. The actress entered as a guest and the housemates had to fulfill her wishes. But, the problem occurs when she asked Sreesanth to ask Dipika to keep Shoaib’s jacket and her nikaah dupatta in the store room. But Sreesanth refused and said that he doesn’t even want to ask and quit the task. The cricketer even lashes out at Gauahar for asking for someone personal belongings even for the task. After stepping outside the bedroom area, Gauahar is seen expressing her displeasure and tells everyone that she wouldn’t have behaved this way if someone were to come to her house. Dipika , I’m sad that u don’t get to make ur own decisions,, I explained v well to Sree to give u an opportunity to shine, he instead thought it was a sacrifice , it’s a race to the finale, she would’ve got her things back in 3 days , intact ! #logic not rocket science !